A white paper published by NGC US, LLC. This white paper and accompanying research is intended to help incentive and loyalty program administrators achieve the maximum impact and results from a gift card-based recognition / reward program. This report draws on research and best practices gathered from the incentive industry. It explores practical elements such as most convenient purchasing processes, appropriate card inventory selection, program administration, customization, and the importance of the award presentation itself. When gift cards are referred to as "the reward of choice," the description comes with solid research. A 2012 study by the Incentive Research Foundation (IRF) and the Incentive Gift Card Council (IGCC) found that U.S. businesses spent $22.7 billion on cards for employee incentive and customer loyalty programs. While more than 59% of businesses rely on non-cash rewards, a full 87% of those companies are using gift cards. The reasons behind the phenomenal growth of gift cards extend across both sides of the gifting program. In a 2012 InteliSpend study, 60% of companies using gift cards favor them for ease of administration, 59% cite broad audience appeal, 52% for redemption and flexibility, and 48% appreciate a gift card’s perceived value over cash rewards. In fact, the 2012 IRF study found that more than 75% of gift card program owners believe they "are among the most effective of all rewards – especially in driving loyalty and engagement." Gift card recipients, the study noted, echo these sentiments as well. The largest share of respondents - 44% in all – say that gift cards, not cash, is their favorite award type. They appreciate the redemption flexibility gift cards offer; the ability to redeem them in a brick-and-mortar store, at an online retail site, or via a phone order. Recipients find gift cards have greater and longer lasting impact than cash rewards. More than 79% of the 2012 IRF-IGCC study recipients said they remembered what they spent their gift card on, and the same amount linked that positive memory of the gift back to the people or company that awarded it. In addition, the growing popularity of electronic gift cards, through codes delivered via e-mail and mobile devices, allows for immediate rewards, offers a broad variety of redemption choices for issuers as well as recipients, and is an environmentally-friendly way to deliver incentive and loyalty awards. "Digital gift cards delivered in real time to recipients are growing in popularity and allow instant gratification to recipients. Recipients don’t want to wait 6-8 weeks for their gift card to be put in the mail, they want it faster," says Samantha Goldstein, marketing director at National Gift Card. And, it's not just traditional incentive and loyalty programs that can benefit from gift cards. In recent years, customer uses have expanded in scope to include activities such as encouraging new product trials, rebates, and increasing survey and trade show responses. For employees, gift cards are being used for new-hire referrals, service anniversaries, safety, health, and wellness incentives and spontaneous achievement / recognition ("thank you") awards. For companies which have traditionally offered checks as part of their customer rebate programs, the option of using prepaid gift cards instead can help simplify and streamline the delivery of rebate payments. So, with gift cards so much favored by givers and recipients alike, it would appear that using them for employee incentive or customer loyalty rewards would be a relatively easy undertaking. Not really, incentive experts say. The keys to administering a successful program include outlining the objectives and desired outcomes, planning the program itself, including card selection, branding and personalization, and the presentation itself. Putting these elements together in a coordinated fashion can help ensure successful results. Let's examine some common pitfalls associated with uncoordinated programs and ways to improve the overall experience. Sending employees to purchase gift cards at retail locations or “card malls,” while on the surface appearing to be an easy purchase decision, can actually cost a company more that it may realize. In addition to lost productivity, firms may be opening themselves up to legal trouble. A 2011 study at the University of California - Irvine found that once interrupted, it takes workers an average of 25 minutes to return to their original task. This doesn’t take into account travel time, time spent at the store shopping for cards, standing in line, or any additional errands tacked on. A report, “The Mall Phenomenon,” published by media company JCDecaux North America quotes research from the International Council of Shopping Centers (ICSC) showing the average time spent at a shopping mall, including browsing and making a special purchase, is between one and 1-1/2 hours. And, while it takes only a minute or two to activate a single gift card at a retailer’s point of sale (POS) terminal, the task multiplicity of activating and verifying a large quantity of cards (not to mention dealing with various denominations within the purchase) takes much longer, and could be prone to error. Working with a dedicated gift card provider especially makes even more sense when businesses operate in multiple areas, according to Lizz Wheeler, National Gift Card’s vice president of business development, who cited a case in which a major insurance company with agency offices across the country needed to streamline their gift card purchasing. Wheeler noted that the successful transition has caught on, with more of the insurance firm’s agencies signing on to the program each week. Gift cards are offered by major retailers, banks, catalog merchants and specialty stores of almost every type imaginable, including leading and luxury brands, which enhances the perceived value. This provides a unique opportunity for an incentive / loyalty administrator to choose cards carefully in order to target awards based on employee and/or customer demographics, or to communicate a particular program theme. Customization is one very valuable service offered by B2B card providers. Card faces can be customized with a company’s logo or program theme to help more actively engage recipients. Customization should be an essential part of the overall marketing and communication of a gift card program. For those companies which use stored-value cards, in which points or cash value is added, the customized cards become a point of pride for the recipient every time the card is used. “Customization options are quickly growing to include gift card sleeves, boxes and many retailers are offering logo imprinting options for their gift cards to promote the customer’s brand than in the past,” says Samantha Goldstein, NGC’s marketing director. Just as with any type of incentive or recognition program, it’s vital to provide high-impact kickoff, ongoing communication vehicles, and activities to build excitement and keep interest high. A comprehensive communications program should include creation of a theme for the program, incorporating the customization elements discussed earlier, and full explanation of the program – goals, objectives, measurements, and the way gift cards will be awarded and delivered. Program administrators should also provide printed and/or online material with program information and regular progress reports, and gather and communicate recipient feedback with gift card rewards choices, and what types of merchandise was purchased. No successful gift card program is complete without paying special attention to the way gift card rewards are delivered and presented. All of the hard work – the planning, execution, communications, etc. can be quickly undone by poor presentation methods. The IGCC suggests a number of effective ways to make gift card presentations a happy and memorable event. If cards are to be delivered, include with it a customized carrier with a handwritten, personalized note of appreciation. If presentations take place in a work setting, involve senior management and recipients’ peers in the mix. For a major award, consider including family members, and publicize the award internally, and possibly externally, as well. “In today's world, people expect personalization. Whether it's a service award, employee gift, or loyalty redemption, the challenge for organizations is to keep that 'personal touch' during the fulfillment of a gift card but deliver it in a cost-effective and efficient manner. Using variable digital printing and e-mail customization, we are able to help organizations personalize the fulfillment of their gift cards to accomplish their business objectives and make our client's end-user feel special for receiving a gift card,” said Eric Thiegs, SVP of business development for National Gift Card. The use of gift cards in incentive and loyalty programs continues to grow as more companies discover and appreciate the simplicity, flexibility, lower administrative costs and reduced program administration time associated with gift cards. This is especially true when working with a gift card source which can offer a turnkey solution to their rewards program. 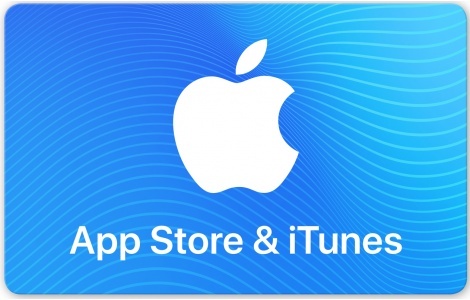 Recipients as well have voiced their support of gift cards for the wide range of award levels available and having the freedom to choose their own reward. The IRF-IGCC 2012 study concludes that companies will continue their gift card programs at the same or increased level, raising an expectation that the market category will thrive and grow. About NGC US, LLC. : NGC US, LLC. is the leading marketer and supplier of gift cards and beyond for use in loyalty, incentive and rewards programs. The agency offers a wide variety of retail, restaurant and prepaid cards along with secure online ordering, distribution, fulfillment services and customized programs designed to reach each client’s specific objectives. NGC continues to develop innovative technology solutions and delivers the best value to its customers. National Gift Card is headquartered in Illinois with sales offices in Florida, Oregon and Pennsylvania. To learn more about NGC US, LLC., visit http://www.ngc-group.com or call 888-472-8747.